2．Heat oil in pan, add in chicken and fry until golden brown. Drain and set aside. 3．Boil broccoli over simmer water for 1minutes, drain and set aside. 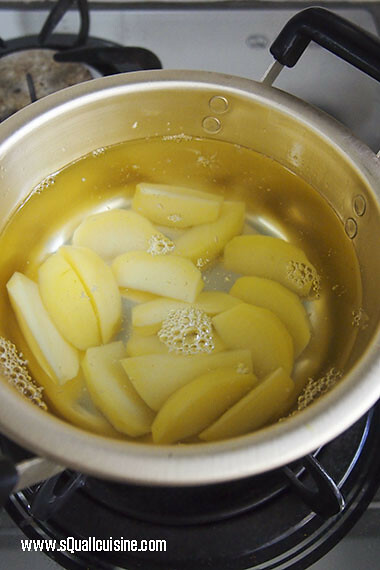 4． Cook potatoes in boiling water for 15minutes, drain and set aside. 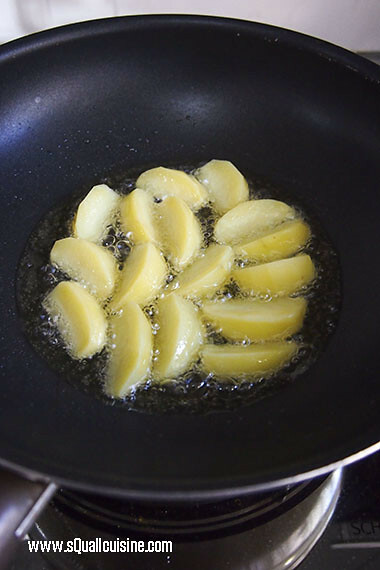 5．Heat oil in pan, add in potatoes and fry until golden brown. Drain and set aside. 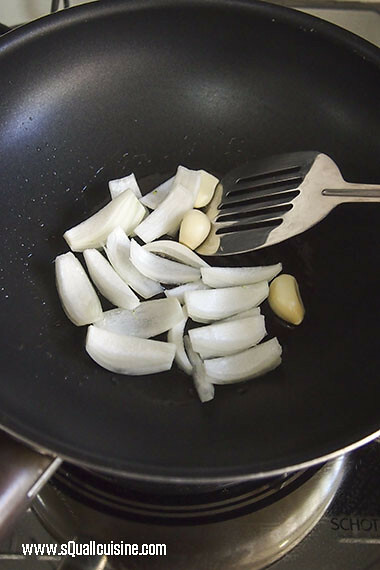 6．Heat oil in pan, sauté onion and garlic until fragrant. Remove and set aside. 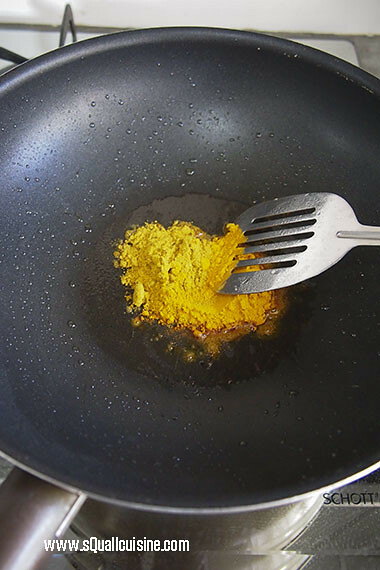 7．Sauté curry powder and turmeric powder until fragrant. 8．Add in chicken and potatoes and stir well. 9．Pour chicken broth, milk and coconut milk in, season with salt and sugar; bring to boil over high heat, turn to lower heat and continue simmer for 10minute or until the sauce turn thickened. 10．Add in onion and garlic, and mix well. 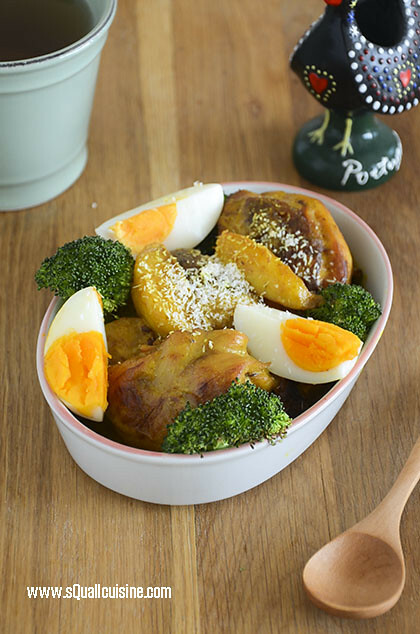 11． Transfer curry into baking dish, place in eggs and broccoli; sprinkle with shredded coconut over it. 12．Bake in pre-heated oven at 210℃ for 10minutes or until lightly browned on top. This entry was posted in 西式料理 Western cuisine on February 20, 2014 by admin.